D.C. is king of speed camera fines, but Montgomery County is no slouch either. The AAA Mid-Atlantic says both raked in millions of fines last year. WASHINGTON — A sudden flash of light in the rearview mirror is a telltale sign that you were caught speeding by a photo-enforcement camera. It’s an all too familiar sight in D.C. and the Maryland suburbs, where more than 2 million tickets were issued last year from speed cameras. D.C. is king of speed camera fines, but Montgomery County is no slouch either. AAA Mid-Atlantic said D.C.’s approximately 300 speed cameras generated more than $99 million in fines last year. Montgomery County speed cameras issued more tickets last year than any other place in Maryland, reaching nearly $24 million in fines. Millions of dollars more came from speed cameras in places including Prince George’s County, Chevy Chase Village, Bowie, Rockville and Hyattsville. There are no speed cameras in Virginia. Area police insist the speed cameras are all about public safety, but there’s no doubt they produce a reliable stream of revenue for local governments. 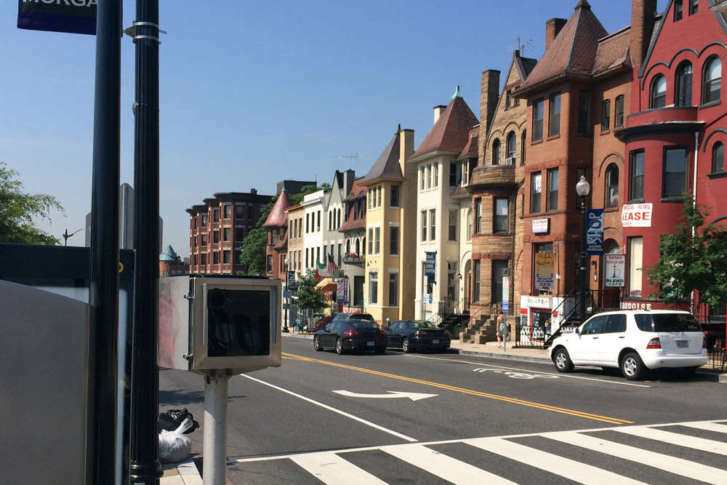 AAA Mid-Atlantic estimates that since speed cameras were deployed in the District in 2007, they have generated more than a half-billion dollars worth of fines for the city. Four out of nine speed camera tickets last year were issued in D.C.